If you wanted to finish building the coolest, most capable, and most affordable AR 15 whisper rifle possible, you need to check our 300 Blackout Rifle Uppers. 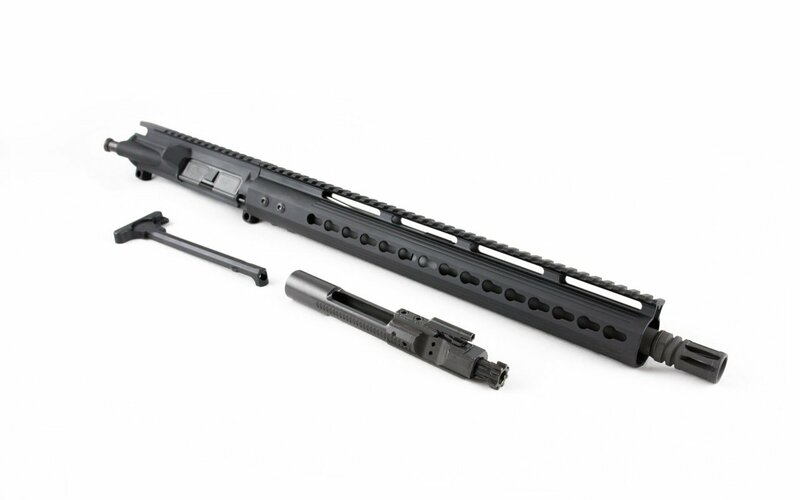 These pre-built Rifle Uppers provide just the right features to make your 300 Blackout AR capable of superior accuracy with super and subsonic loads. 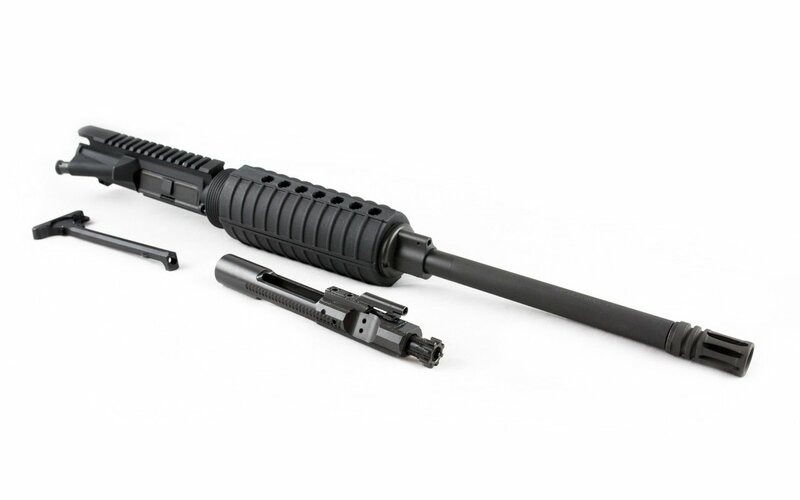 Each Rifle Upper features a universal 5/8 x 24 thread pitch for easy suppressor attachment. The best part? Every 300 Blackout Rifle upper we sell ships straight to your front door – no FFL transfer fees, PICS checks, or paperwork required! That means no waiting in line at the local gun store. But there are so many Rifle Uppers on the market – why ours? For starters, our 300 Blackout Rifle Uppers feature superior steel, aluminum alloys, and quality, all-American construction. 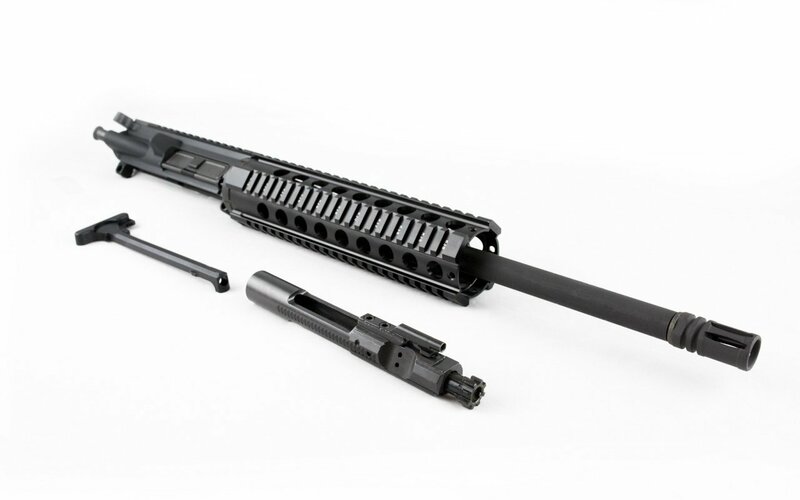 Every barrel we manufacture is made using mil-spec 4150 Chromoly or industry-leading 416R Stainless Steel. Every barrel is heat treated and relieved to achieve a Mohs hardness rating of 28 to 32. Our Rifle Uppers guarantee 1 MOA of accuracy at 100 yards, with regular production showing 0.7 MOA. Because of our heat treatment process, our barrels do not need chrome lining – saving you money and providing better accuracy to boot. 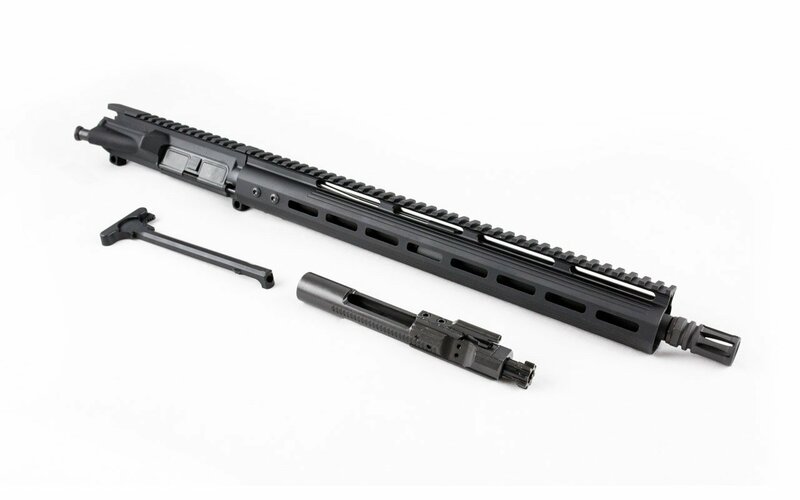 Every 300 Blackout Rifle Upper we sell also includes a quality, mil-spec Picatinny, Keymod, or M-Lok handguard for universal attachment of accessories. And finally, every Rifle Upper we sell is priced for the best value possible. We’ll make it simple: You won’t find a more affordable, quality 300 Blackout Rifle Upper than what we’ve brought here today. We’re proud to say it. Why Our 300 Blackout Rifle Upper? No FFL transfer or PICS check required!